A week or so ago, I received a care package from my friend, Martha. I couldn’t wait to open the box! 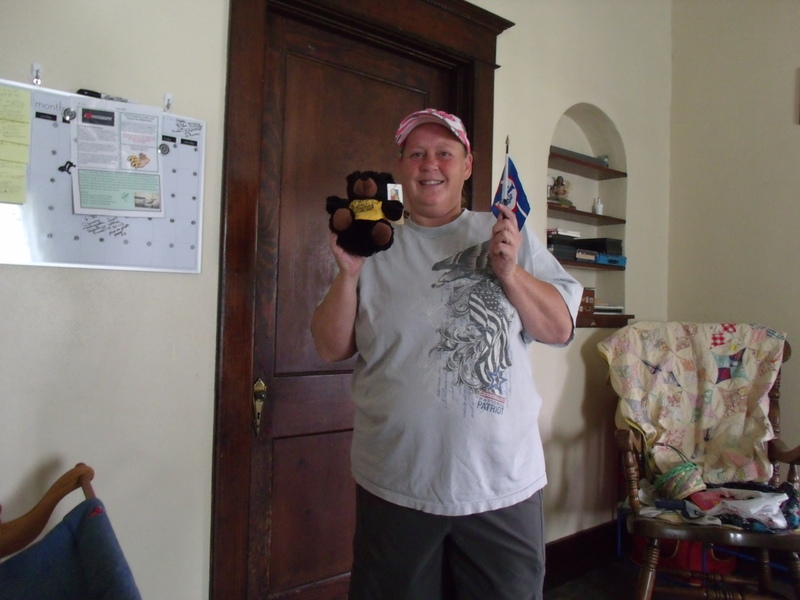 I was thrilled to see a little bear with an Annandale flag. I also couldn’t wait to tear into the reading material Martha sent. 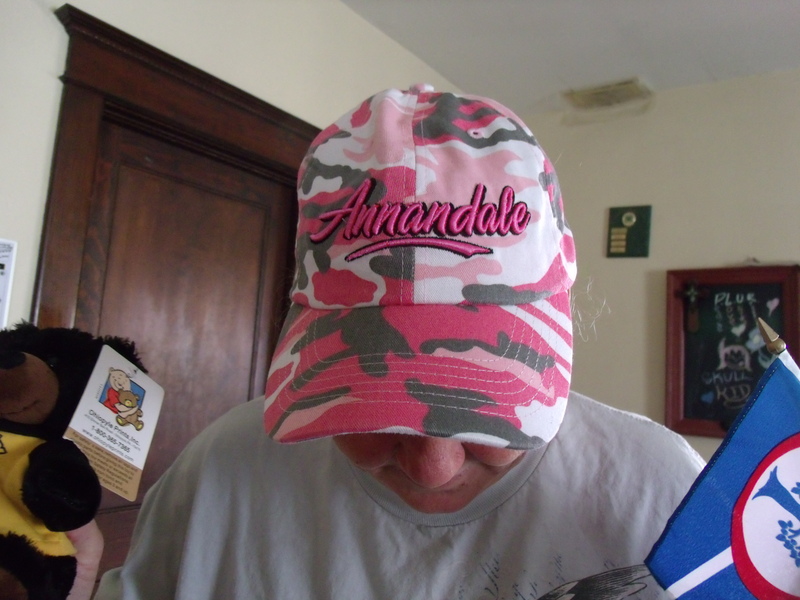 I think my favorite item—surprisingly—was the Annandale camo hat. Let me explain. I never wear hats. Ever. My bear now sits on my desk at school along with the flag. This hat, however, fits my head just right. It feels natural. Never had that happen before! Thank you, Martha! My only hat is uber cool.